I bought this lipstick long time ago, love this colour a lot as it’s a shade which brightens the mood, looks and face. So let’s find out why I like it a lot with this short review. 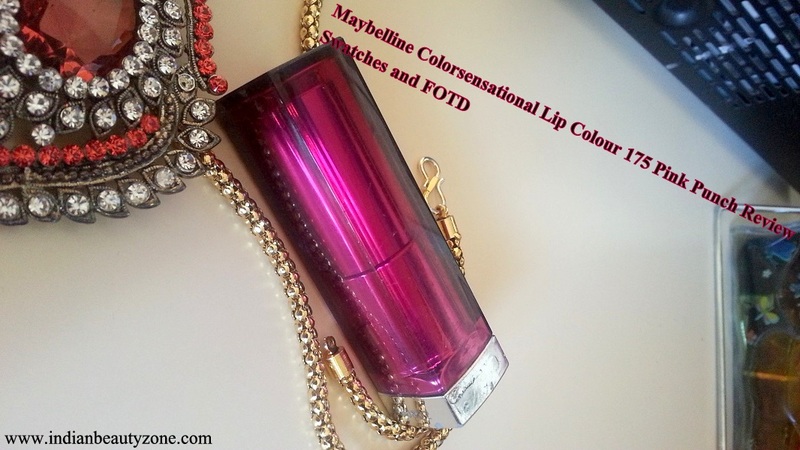 Maybelline Colour Sensational Lip Colour 175 Pink Punch gives you stunning colour that's both rich and healthy-looking. Using pure pigments for a sharper colour and nourishing honey nectar for a soft and creamy finish, Colour Sensation lipstick gives you lips that feel as good as they look. My views: It is a vibrant fuchsia pink with cool blue undertones. I found this colour very fun filled as brings out smile on my face. Perfect for a bold spring look. It is rich in moisturizer, so doesn't dry your lips. It is really amazing product and easily affordable. Superb pigmentation as one swipe gives full coverage. It makes lips look healthy and bold. It is flattering, noticeable and perfect for summers/spring. It would suit fair to medium skin tones. Fragrance is pleasant and packaging looks good too. The outer side is exactly the same shade as of the lipstick, so can easily locate if u hoard a few. The colour name and number are written on the square shape sticker which matches exactly with the shade. The outer case is transparent and inner side is silver in colour. I like the texture; very creamy, smooth and gives buttery effect on lips. It’s very light and comfortable to wear on lips. It doesn't settle or accentuate your lines. The lipsticks does not bleed at all but does transfers on cups .To solve this problem you may set it with some blotting paper and tissue. It glides smoothly on lips, really moisturizing and fragrance is pleasant too. The lipstick is meant to contain honey nectar which apparently gives it the creamy nourishing feel. 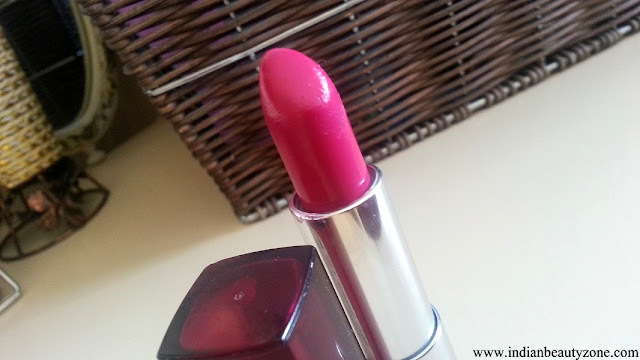 It is a vibrant colour and gives nice shine to the lips. The staying power is decent at almost 4-5 hours but fades away evenly. It is one of the favourite drugstore lipsticks, has lovely range of colours and goes well with Indian and Western attires. 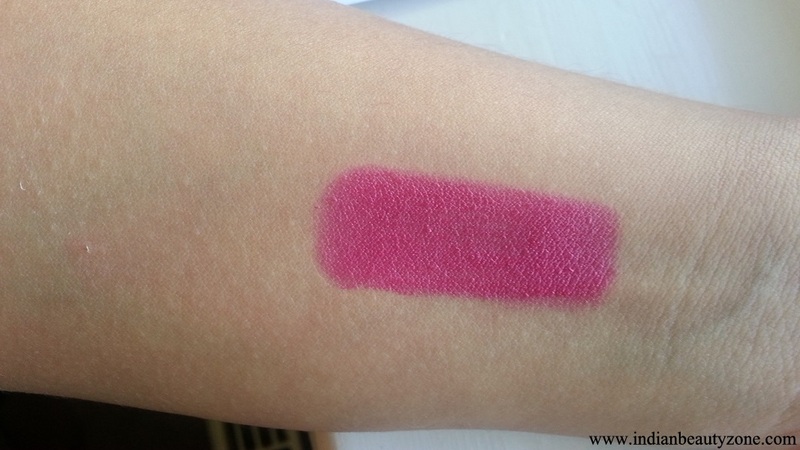 I am very impressed with these lipsticks because of their amazing colour payoff. 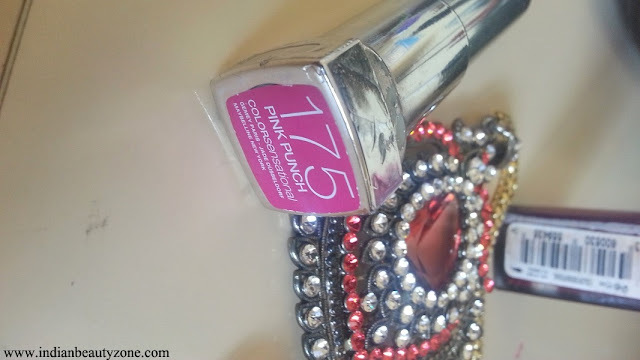 Perfect to brighten up face, looks and mood! 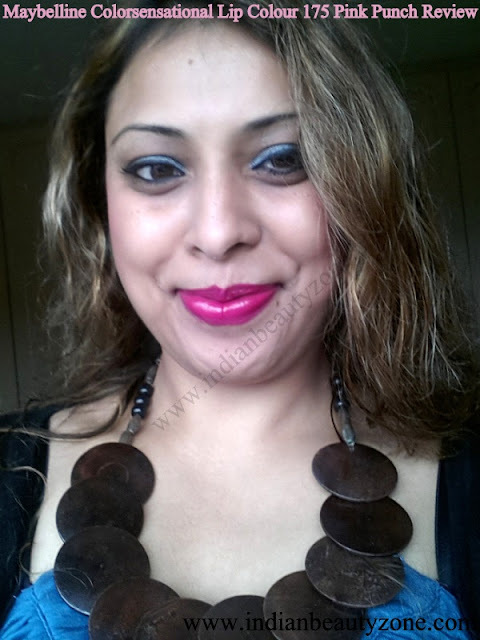 Texture is very creamy with a glossy finish and glides smoothly on lips. Light weight and comfortable on lips. It has a good staying power and doesn't bleed, stick or smudge. Highly recommended! U look so gorgeous Tej.. The blue and pink looks fab together..
indeed its a pretty shade..
yes indeed its a pretty shade which brighten the looks,face n mood.. I really like maybelline color sensational lipsticks, they have amazing formula..
looks awesome on you...btw..love you eyes! Lovely shade Tej. Excellent color. Maybelline is my fav brand for lipstick. Have tested so many shades but that pink shade is not suitable for me. Its perfect fit for you. good to know navneet you like Maybelline brand..and there r great variety of shades in this range..
Gorgeous colour! And love the photos of the lipstick with the necklace! wow..thats great...good to know pink is also ur fav..everyone loves pink !!! we all r pink Lovers !!! 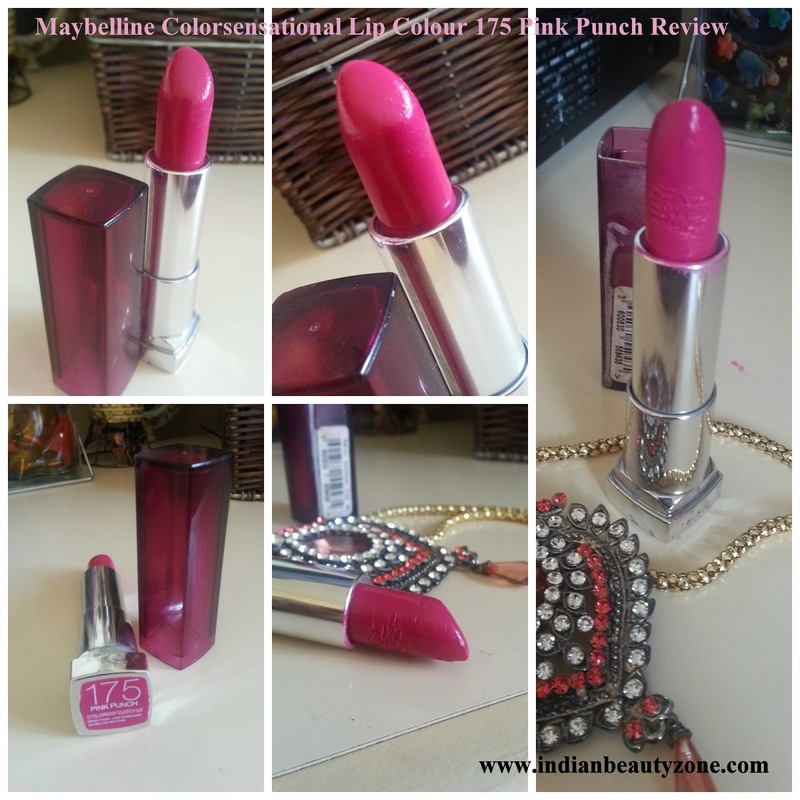 Jannat I already did a post of my collection of pink lipsticks on preethis blog..
Wow... amazing shade for killer lips!!!!! Kisses and happy friday hun! Wow a very bold shade that suits you very much! xoxo. You carry bold shades very well..
And the pictures are pretty as usual..
Lovely Shade Tej! It's Smoking Pink..& Looks super hot on you :) I don't know if this shade is available here but If it is I am gonna look into it! aww...thanks richa <3<3..how r u dear ?? I think this one is available in India..i am not sure dear..sorry !!! Oh It looks really beautiful on you doll!